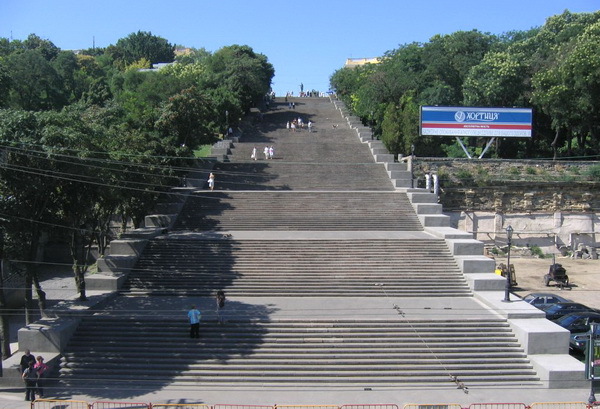 Potyomkin's staircase - a symbol of the city, has 192 steps and 10 spans. The ladder was built between 1837 and 1841 by Italian architect Francesco Boffo. Left of the staircase function free funicular. Walking up the stairs, you go directly to the monument of Duc, standing on the Promenade.